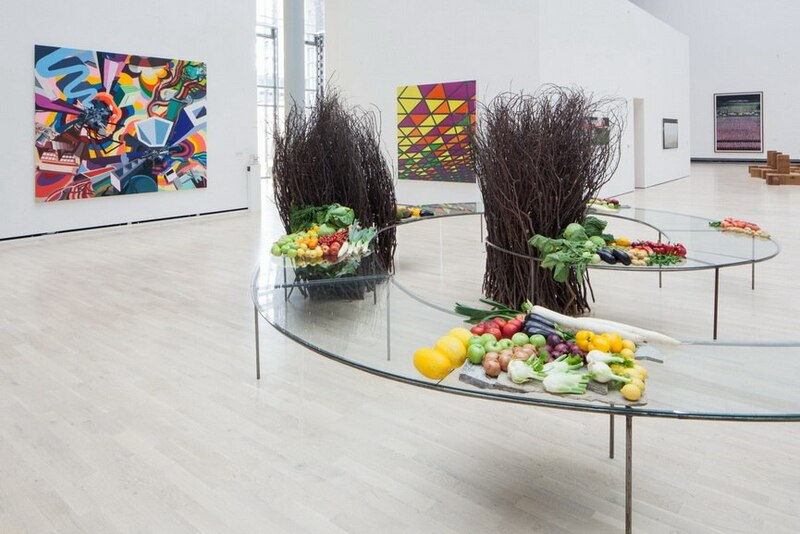 A museum specializing in modern and contemporary art, Kunstmuseum Wolfsburg opened in 1994 with the retrospective of works by Fernand Leger. Since then, this institution has built an impeccable collection which includes an array of renowned artists and artworks. After twenty-five years, the Kunstmuseum Wolfsburg decided to present this collection in a new light. 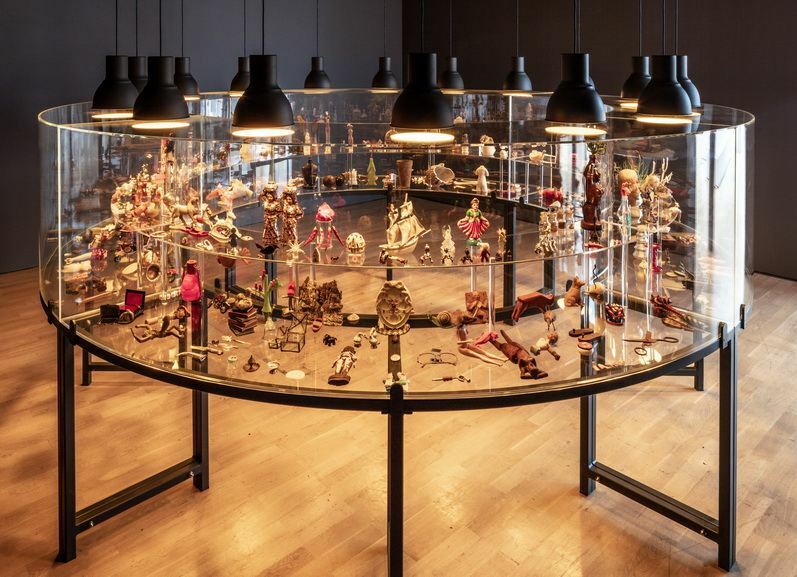 More than six hundred installations, series of works, and individual pieces by one hundred artists including Carl Andre, Nobuyoshi Araki, Bruce Nauman, Julian Opie, Nam June Paik, Elizabeth Peyton, Cindy Sherman, Sam Taylor-Johnson, Luc Tuymans, etc. ), will reflect on the contemporary status of this collection and its international reputation. 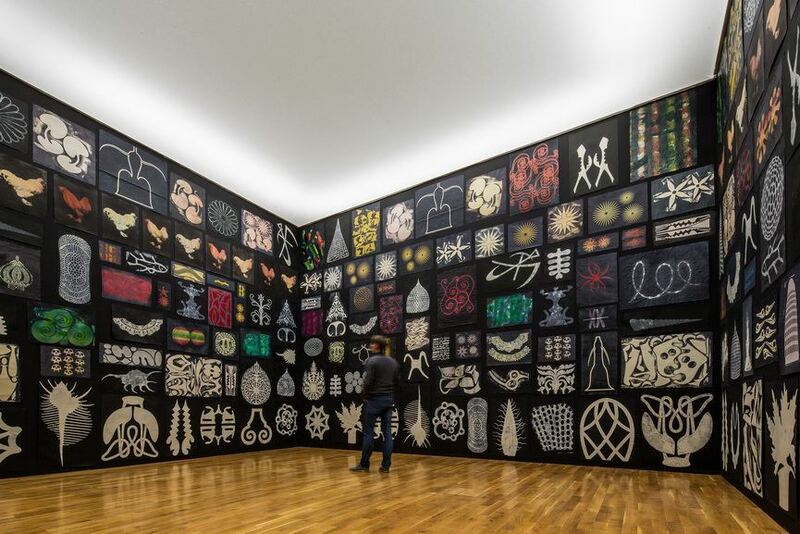 The title of the newly formatted constellation Now Is The Time refers to the work What looks good today may not look good tomorrow by Michel Majerus in the Kunstmuseum Wolfsburg collection. The photograph of the Indian conceptual artist Gauri Gill featuring the craftsmen from the coastal region of Konkan wearing the sacred mask is one practically the central motif of the exhibition and is one of many new acquisitions to be featured in a collection. 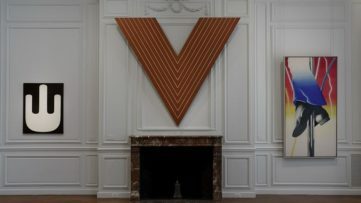 The works by seventy-seven international artists will be presented in a dialog through thematic segments on all exhibition levels of the museum; the earliest acquisitions will be displayed accordingly alongside the recently acquired works spanning from late modernism, over more recent positions, and including representatives of global art. 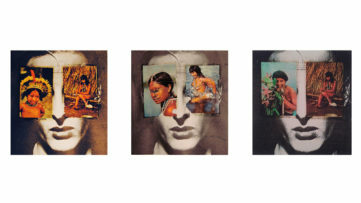 For example, large size paintings of Jörg Immendorff featuring the opening of the inner-German border in 1989 titled Kleine Reise (Hasensülze) will be juxtaposed against the works of the artist from the Dominican Republic, Firelei Báez which explore the legacy of the colonialism and her own origin and identity. The development in art history over the last forty years will be presented in a broader context of the diversity and simultaneity of artistic production. 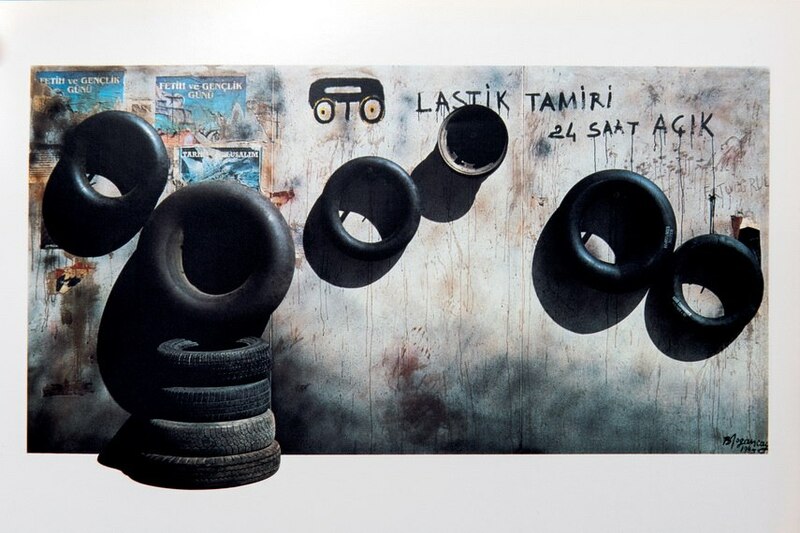 Namely, the collection was formed at a time when the globalization of art just started, so the exhibition will show how the tendencies circulated in a global landscape and how the artists’ explorations shifted in regards to socio-political circumstances. 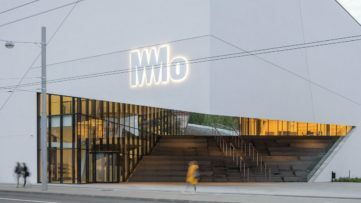 A comprehensive catalog with works by all the artists represented in the collection will be published to mark the twenty-fifth anniversary of the Kunstmuseum Wolfsburg. A number of ninety-seven international contributors will unravel their perspectives on the works in the collection along with a foreword written by Andreas Beitin and an introductory essay by Holger Broeker. Now Is The Time will be on view at Kunstmuseum in Wolfsburg from 24 March until 29 September 2019. Featured image: Sam Taylor-Johnson – Sigh, 2008. 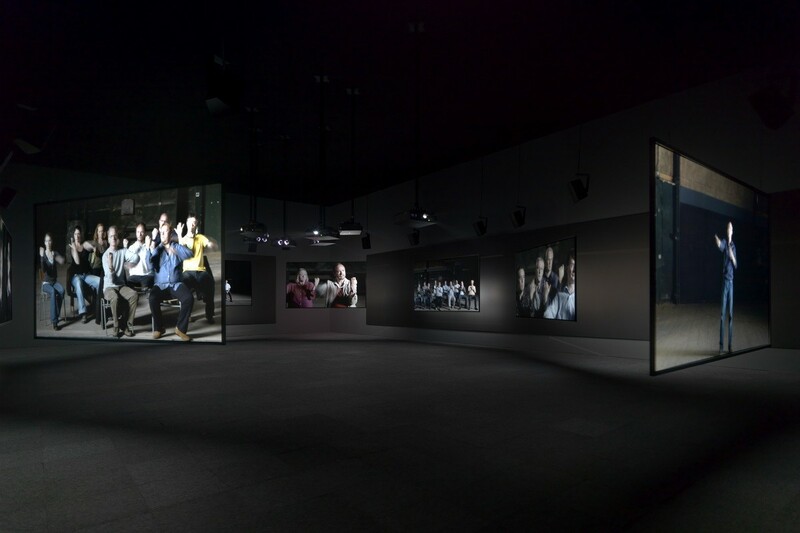 Video-/sound installation with 8 projections on separate screens, HD, 16:9, 8:37 min. Room size approx. 450 x 1110 x 1910 cm. Ex. 3/3 (+2 AP). Gift from the circle of friends of the Kunstmuseum Wolfsburg © VG Bild-Kunst, Bonn 2019; Philip Taaffe – Lalibela Kabinett, 2008. Installation of 384 monotypes, 677 x 750 x 750 cm © Philip Taaffe. 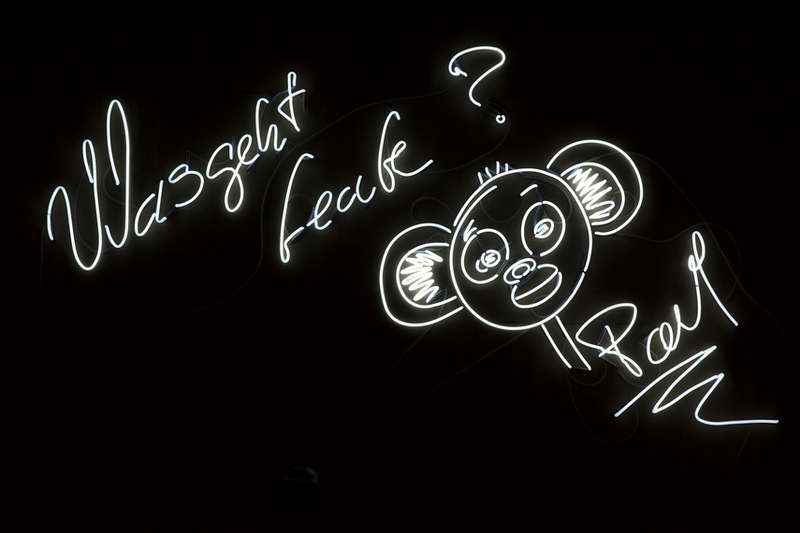 Photo: Marek Kruszewski; Installation view, Collection Kunstmuseum Wolfsburg 2012 © Kunstmuseum Wolfsburg, © VG Bild-Kunst, Bonn 2019. Photo: Marek Kruszewski. All images courtesy Kunstmuseum Wolfsburg.